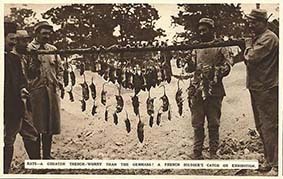 We believe we have to go beyond this Centenary mood to discover those that up to now remain the best books about World War One. This climate is indeed unfavourable to the conception of new studies able to go deeply inside a widely debated argument. It is not hard to understand the reason of this discomfortable situation, since the anniversary becomes often the excuse to spice or even to drug the premises and the expectations as well. For this reason, as far as our look goes, we can easily admit that no groundbreaking approach in the study of the First World War and no history book able to break with the tradition has been released in the last years (of course we hope something is going to happen). 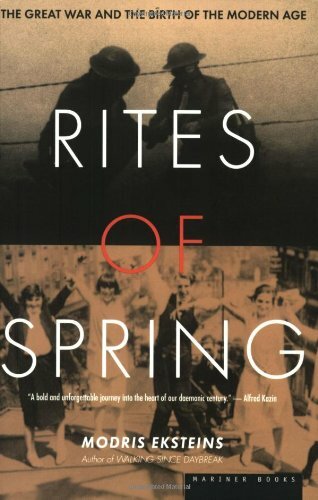 Rites of Spring: The Great War and the Birth of the Modern Age is a book by Modris Eksteins first published in 1989 by Houghton Mifflin. Today, instead of offering a new review of this book we simply link the most interesting reviews one can find online. 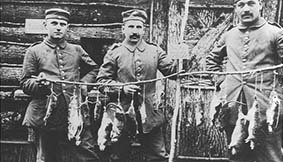 So far we have considered the animals in World War One as friends or somehow close partners of soldiers. 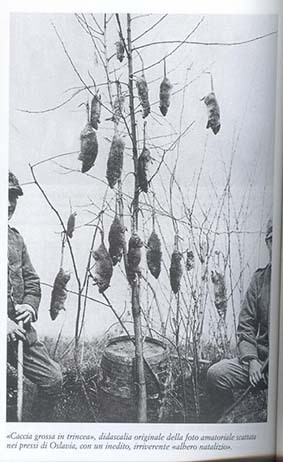 But we cannot but consider the other side of this story of animals crowding the trenches. And of course it is not actually a story of friendship and cooperation. It's quite easy to realize how many pictures of rats were taken during the war. 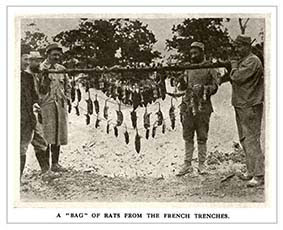 In the trenches at night the rats could gnaw the soldiers' feet and of course they were responsible of many other annoyances and diseases, beside worsening an already poor hygiene. 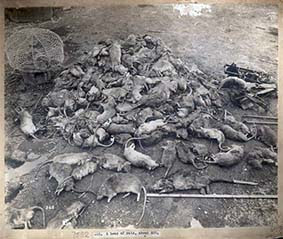 Here below is a selection of what you could find searching for pictures of rats in World War One. 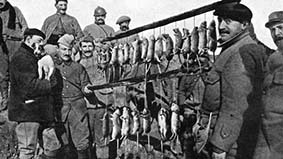 It's not infrequent to read about rats in diary or letters and from this we deduce they were an important presence in the soldier's life. All the below gathered images share a common sense of pride for the rich outcome of the hunt. 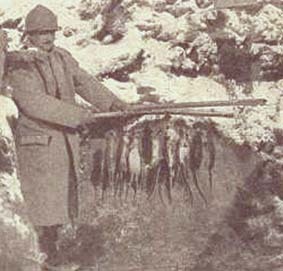 * "La Riviera Ligure", ottobre-novembre 1917. 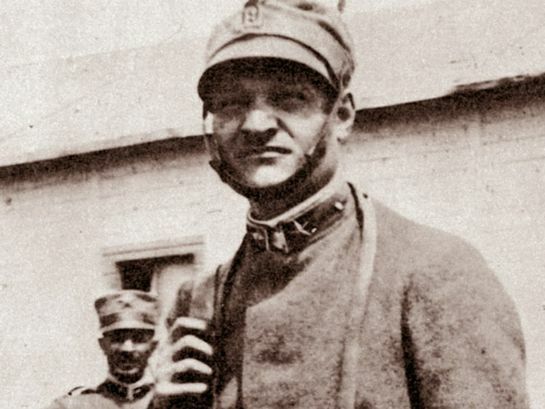 The Italian version we publish is the one you can read in Giuseppe Ungaretti, Allegria di Naufragi, Vallecchi, Firenze 1919.